Offers for The United MileagePlus Presidential Plus℠‎ Card, The Ritz-Carlton Rewards® Credit Card and United MileagePlus® Club Card are not available through this site. All information has been independently collected by AwardWallet and has not been reviewed or provided by the card issuer. Please see our card marketplace for available offers. One of the feel-good milestones of rewards travel is achieving elite status within a loyalty program. The recognition that we are a valued client and the perks, upgrades, discounts, and extra points elite status affords us can be a huge incentive and is one of the most significant driving forces behind loyalty programs. What feels even better is when we attain elite status without following the traditional path of being a loyal customer, almost like having your cake and eating it too! 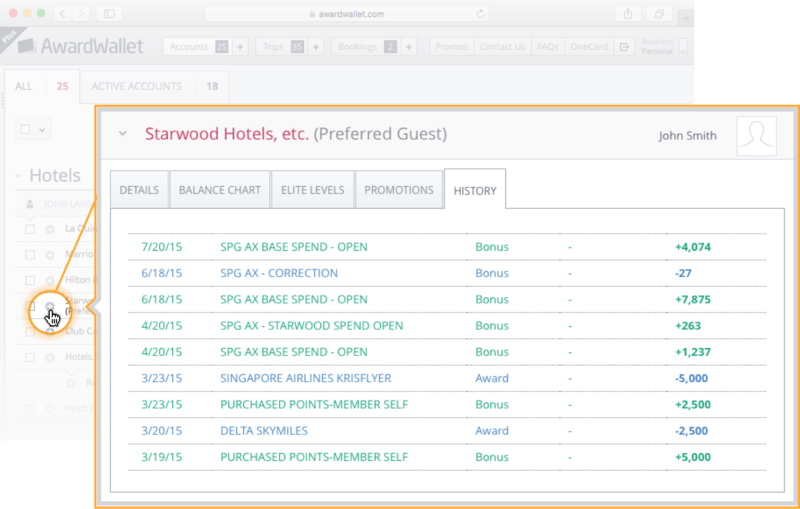 This month we’ve covered the best methods of acquiring hotel status for free, and how to get elite status with a frequent flyer program without flying, and in this post, we’ll shine a light on how to achieve elite status within rental car rewards programs without the required number of paid rentals. While rental car rewards programs don’t generally hold the same aspirational value or appeal as their hotel and airline counterparts, the idea of jumping off a transcontinental flight, skipping the lines at the car rental counter, and scoring a free upgrade to a more luxurious vehicle is enticing, to say the least. We won’t be covering every car rental rewards program in this post, just the ones we think provide the best value with an easily attainable path to elite status. One of the many benefits of holding a World Elite MasterCard® is gaining elite status in two rental car rewards programs, in addition to perks and discounts with three others. 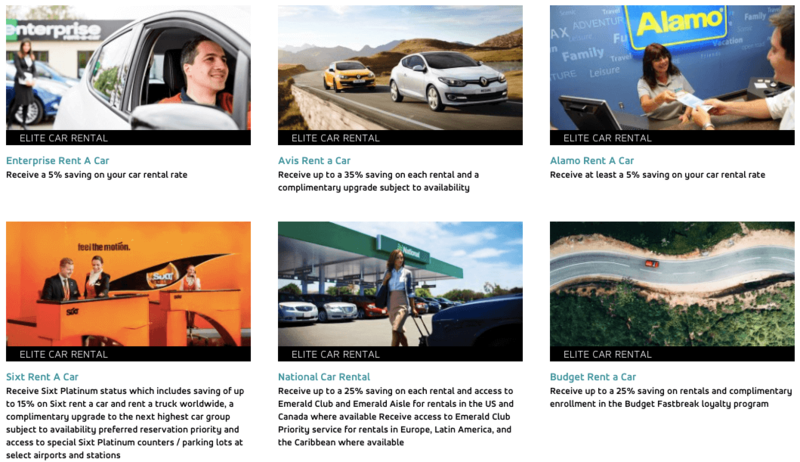 It typically takes between 10/15 paid rentals to reach an elite tier that offers any tangible benefit, so earning elite perks and benefits across five rental car companies is a huge plus for points and miles fans with a World Elite MasterCard®. Call the MasterCard Travel Concierge at 855-802-1387 for assistance. All Platinum cards from American Express offer complimentary memberships with Avis, Hertz, and National Car Rental with varying levels of benefits, this includes both The Business Platinum® Card from American Express and The Platinum Card® from American Express which offer a huge array of elite travel benefits. Elite status is not the only way you can save on car rentals using credit cards; there are a variety of cards such as the Chase Sapphire Preferred® Card and the new Ink Business Preferred℠ Credit Card which both offer Primary Rental Insurance as a benefit. See our post on the Sapphire Preferred Auto Rental CDW for details. If you already hold elite status with any of the major rental car agencies, one of the easiest ways to achieve it with an opposition program is to apply for a status match. Both National and Hertz have a formalized status match process that can be found via the links below. While Sixt doesn’t have a formal status match program, Delta SkyMiles elites that are Gold Medallion or higher will receive Sixt Platinum status. Delta also has a formalized partnership agreement with Hertz. Statusmatcher.com also has numerous confirmed status matches for Sixt from another car rental, hotel, and airline rewards program, as does Avis, particularly when members apply through social channels. 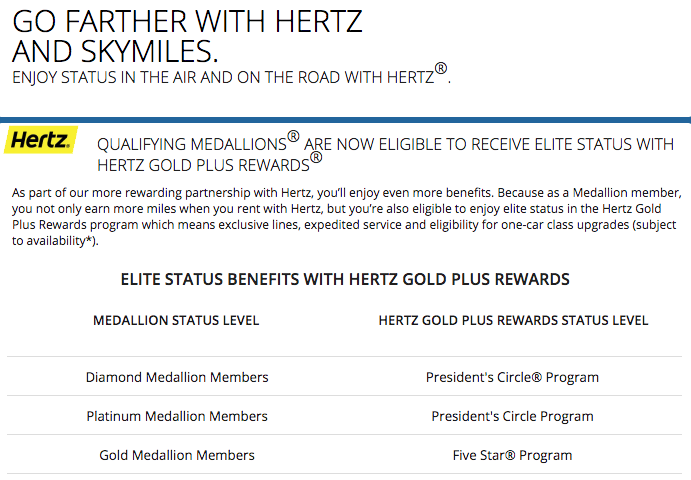 United MileagePlus® Club Card and The United MileagePlus Presidential Plus℠‎ Card members receive Hertz President's Circle® status. Quoting the discount code (CDP) 62455, PC#305023 and your MileagePlus number at the time of reservation will save members up to 40% on each qualifying rental in addition to earning award miles. 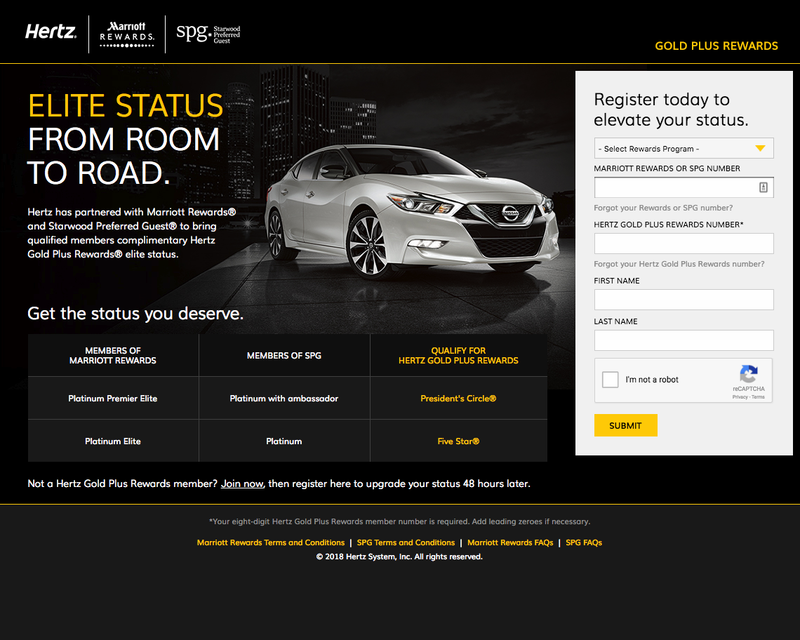 Marriott Rewards & Starwood Preferred Guest have teamed up with Hertz as well where Marriott/SPG Platinum Elite members can receive either Five Star or President's Circle status. Earning elite status with car rental rewards programs can provide members with upgraded vehicles, preferential treatment, priority access at the reservations desk, discounts on rentals, and more. And although rental car elite status doesn’t hold the same appeal as an upgrade to a suite at The Ritz, it can certainly improve the experience of hiring a car. Our top World Elite MasterCard® picks for loyalty aficionados are the Arrival Plus with its versatile rewards points, and the Prestige Card due to its exceptional benefits like the complimentary 4th-night stay at any hotel reservation made through Citi Concierge, and the $250 Air Travel Credit for flight-related expenses. The Amex Platinum and its partner in points, the Business Platinum Card, are always sitting at the top of rewards card favorites although, in this case, the World Elite MasterCard® family have them beat. Do you have any tips or tricks we’ve missed for getting elite status with rental car rewards programs that we’ve missed? We’d love to hear from you in the comments! This does sound intriguing! How do you guys keep track of all this?! You poor things reading through all the fine print. I love the idea of skipping lines and getting free upgrades on cars. Never did I realize that there was no guarantee that they would have a car for me. Found out the hard way that I still had to pay to a higher car when the type I ordered wasn’t there! Was not happy! Now I know and am very careful when I go to certain cities. This would really be helpful to me! Thank you! though the title suggest “free” status, it is connected to a credit card ? Yes, but you’re certainly not paying for the card to solely get rental car service — I really see it as free given the value otherwise associated with any of these cards — some of which have no annual fees. Hey Panka, some of the credit cards are giving free status, for example, having any CC that carries the World Elite Mastercard branding will get you status with the rental car programs associated. There are plenty of NO ANNUAL FEE credit cards out there in the world that carry the World Elite Mastercard benefits. So even though the status is associated with a CC, it is free as getting a credit card with NO ANNUAL FEE is incredibly beneficial to your own credit score and to your future travel plans. If you regard CCs negatively in your mind, you’re missing out on so many valuable travel and life benefits. Of course, if anyone has had trouble managing credit in the past then yes, avoiding CCs in order to stay out of trouble is preferable. Many large firms have negotiated free elite status for their employees, so check with your travel department. Yes. I got free elite status for Hertz and National using my corporate account numbers. Good to know there’s rental car status with these cards. Interesting read but I never really rent cars except on the occasional trip. Walking, public transport and Uber are my preferred choices intuit order. Most folks probably assumed this, but just as a reminder, the Chase Sapphire Reserve also includes rental status. Good to know! Thanks also for including the link for statusmatcher.com. We found a couple of useful things on there as well. Good news but i don’t know if it works in the other way. If you are Hertz president circle member did you become Delta Platinium ? Slim pickings with Canadian credit cards to qualify for car rental elite status. It depends on the credit card product that you have. The Guide to benefits of any card will explain the process to obtain elite status with any specific program. Calling the number on the back of your card will get you to someone to explain it for your specific card product. The reliability of certain rental benefits is sometime questionable when overseas. Companies like Hertz may not always honor rewards, though earning seems not to be affected. Have been dealing with occasional issues in Germany for the past 2 years. Thanks a lot for this article, very interesting to read this! I was thinking about renting my first car during a trip with Hertz. Sometimes makes sense having two cards one private and one for business so to have two profiles. Some choices, such as the level of insurance, are stored in your profile and usually cannot be changed. This looks interesting, i am going to investigate further! Great article. Do you keep the rental statuses as long as the card is open? Is the rental status through the World Elite MasterCard still available? I know it’s only a few weeks since this was posted, but the links were all broken a few days ago, and now none of them even show up on the benefits page. It is still available. I’ve updated the links after double-checking with MasterCard as yes, the pages have changed. This is really helpful – we just got a World Elite MasterCard. Though I agree, I would not have signed up for the card just for the rental car company elite status, it sure is a nice additional benefit. I’ll have to call to make sure we get signed up before our next trip. Thanks for doing the research! Interesting. I did not know you can get rental car status with these credit cards. Another thing to keep in mind when opening up a new credit card. I just git the chase sapphire preferred. Can I get the avis/national/silvercar status in my husbands name instead of mine as he is our designated renter/driver? 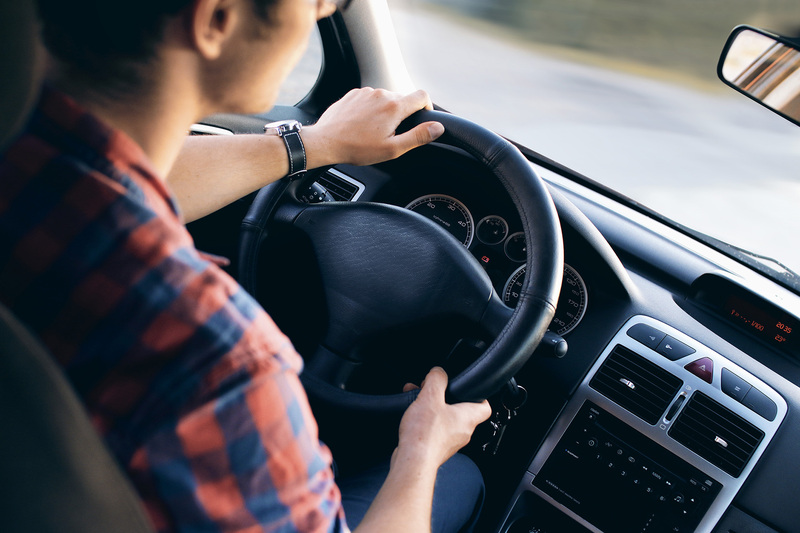 If not – can we still make him the driver once we pick up the car (or change the driver to him after the rental has been booked)? Contacted MC Elite Travel Services twice in attempt to get Sixt status upgraded from Gold to Platinum. Mastercard reps acknowledge that they are currently having issues with Sixt contract. MC Travel Services says that Sixt Platinum status is still a benefit but Sixt refuses to upgrade status. Wow; first time I’ve heard this. I’d continue to push. Excellent point, I’ve updated the language to reflect that it is a partnership and not reciprocal agreement. You can also match elite hotel statuses to Rental Car Status. I matched Best Western Diamond Select to Sixt Platinum, having never stayed at BW or rented a car with Sixt, I wanted free second driver for upcoming Sixt rentals. How did you get Best Western Diamond Select status without never staying? Best Western Elite will match any other status you have almost anywhere. I have SPG Gold Status from a Credit Card, matched to Marriott Gold. Take a look at statusmatcher.com. Best Western does not even require proof of status if you call them, I am not encouraging untruthfulness just stating a fact. I did it via a web form. I believe National will also match to many other status programs. You can then use that to match the other players. I use to be a ‘Paid’ Platinum with Hertz and Hertz discontinued the program and moved me to the President’s Circle which isn’t working out well. Anything new you are aware of that would work to get me back into the Hertz Platinum Program?? I am a Marriott Platinum Elite, Delta Diamond, Amex Delta Reserve card…? Any thoughts would be appreciated…. I don’t know of any way to get there other than excessive spending with Hertz. I never tried that and not even thought about it. Will try it for sure to check either it is working or not.